Recently my friend Luchi and I began work on a painting of a Palo Santo tree, which grows along Ecuador’s Pacific coast. He presented some photos he hoped to work with, and we inspected two trees growing in the hostal gardens. I began the painting as he watched, and then he joined the painting session! After a few hours of starts and stops, of inspecting the trees and returning, we reached a stopping point. The painting remains in limbo, as Luchi * was unsure about working on this study without my help, and I realized that I knew little about the trees, aside from the scent that imprints on any one who experiences it. * No photo of Luchi painting; the computer is not reading the camera chip at this moment! A few days later I retrieved a scrap of canvas, set up near one of the trees, and began a serious study. The colors of the bark changed with the ever-changing light. When wet it was much darker. At times it appeared green and other times gray or even reddish. I have learned so much – including there are few insects on this tree! So far I’ve only witnessed tiny black ants being granted entrance to the Palo Santo’s sacred space! Many birds perch in its branches, though this study you’re about to see below – so far doesn’t invite a co-star. Perhaps the house wren’s petite presence might find its way into the scene? Pondering the various birds sparked my interest in featuring a Motmot that recently stopped by to say hello! The Motmot deserves a large canvas of its own! The next in the series might be this Whooping Motmot . With the canvas taped to a flat surface, I sat very still and studied the tree for five or so minutes, mixed basic pigments, and without any pencil guidelines, took a small roller about three inches wide and rolled clear water along the basic areas for the trunk and primary limbs. Luchi’s nephew Jesus quietly watched as the form of the tree magically took shape. After the water, I brushed in a medium wash of white house paint – yes, I use house paint, much superior to hobby tempera-like paints sold in the tiendas! While the white paint was still very wet, I washed in light brownish-yellow colors, then followed with the darker ones. True to watercolor’s personality, the pigments swirled and swam, but never jumped out of bounds into dry areas. Poking and pushing the colors, and clarifying the outer lines of the limbs, I did ‘just enough’ to keep the colors from being overworked and then took a break. I was surprised to see a much-larger audience! Luchi, his brother Fernando and nephew Jesus were all quietly watching and at times taking photos! The slideshow illustrates that day’s work via the first image, and the rest as painted over the next few days. At night, I took samples of leaves inside, and I also worked from photos. Palo Santo – Bursera graveolens – From Wilkipedia: ” The tree belongs to the same family (Burseraceae) as frankincense and myrrh. It is widely used in folk medicine for stomach ache, as sudorific, and as liniment for rheumatism. Aged heartwood is rich in terpenes such as limonene and α-terpineol. There will be a few tweaks to foliage, and we’re still trying to discover if an insect would even land on this tree! Does anyone have first-hand information? This week has found ‘The Muir Tree’ and me having a battle of the wills; it’s evolving as it asserts its own powerful voice. It will not be a scientific study, yet it will be unique! 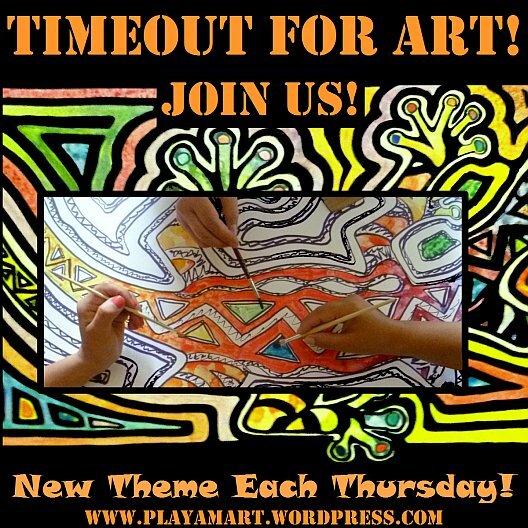 As always, thanks for tuning in to Thursday’s Timeout for Art. Thank you so much, Maureen! It was a joy to paint,so perhaps it will continue to give joy to others. Gorgeous painting. I am in awe of your skill and your talent! Your kind words always brighten my day! Thank you, and the Palo Santo tree thanks you! Ditto to that! I’m sitting here spellbound at the detail so scrupulously duplicated in this painting. Sometimes it’s hard to tell your paintings from your photos, Lisa. Beautiful work. Thank you so much! I’m glad you enjoyed the paintings/details in the post! Stunning! Lisa i so enjoy your posts and ur hand is just stunning! As ‘they’ say, ‘paint what you know or what you love,’ so it’s easy when Mother Nature is the model! Thank you! Delightful!! If there are no insects on the trees I wonder why the birds ever land on them? Usually the birds are after the insects for a snack. Many thanks for the talk-through. It was most interesting and enlightening. Oh, the birds here are happy birds! They perch and sing! Thank you, Hugh! Ah yes it did! Thanks, Keith! Seeing and looking are two different things especially when artistically inclined. The forest as home for many species will bring out the strange and unusual nature of human and animal alike. Yes, you are so right about seeing and looking. Mother Nature provides and endless supply of inspiration for drawing and painting. Though most anyone can see the beauty, one doesn’t really grasp its essence until one has studied it. I’m glad you enjoyed the post and the art. Loved your post and “Palo Santo Study”! Nothing beats the immense diversity and beauty of Nature. We need only take the time to look closer. I like the way you introduced this post Lisa. What a good subject – that bark invites study, doesn’t it? Yesterday we walked among giant old growth trees near here, admiring their strength and the tiny life that grew on and all around them – it was a landscape of huge and tiny, and such gorgeous Spring growth right now…and one tree that caught my eye towards the end had similar patterns on its bark, from lichens – so pretty. I think your work shows that science and art are not opposed, but complementary. p.s. – The Elephant tree in my recent Arizona post belongs to the same family – a peculiar one, yes? What a lovely contrast – the great great great grandparent trees overlooking the very special family that lives at ground level. ‘a landscape of huge and tiny’ – oh, so poetic yet true! ‘science and art are not opposed’ – thanks for that! Your Muir tree has a special meaning to me now that I am in Yosemite and in Muir territory. Love the quote, too. Muir tree and I continue to argue… It’s antlers went well, and the face – well it gets painted and then painted out, painted and painted out.. today i’ll try a different approach…. Thank you! Your own multi-talented gifts are pretty special as well! I am grateful for my gifts and sometimes wonder what it would be like to have few interests or hobbies and be ‘bored.’ bored? is that a word in your vocabulary? probably not! Ha.. “I understand,” says the person who paints until one, two and even three in the morning! but it’s so quiet and peaceful at that time! Thanks for the follow 🙂 I look forward to staying connected on the blogosphere. My god, Lisa, your work rates right up there with Audubon, and Franz & Ferdinand Bauer. I hope you don’t have to die before the credibility of your finely tuned eye and well-trained hands is recognized for the treasure to humanity (and biology) that it is. I like your sketch of the anthropomorphic ceibo tree, and your painting of the palo santo is excellent. The translation as ‘holy wood’ comes out close to Hollywood. Desnudo’ there and also in Belize. It makes a really pretty living fence, and after years of being pruned back, the trees have really strange scars that give each tree unique character. The pruned branches are planted, so at least the pruning isn’t wasteful. Its bark was prized for medicinal purposes.. I think that one often-used treatment was for skin problems — ja, perhaps sunburn as well? I see that Bursera simaruba grows in Honduras, but I didn’t have an interest in such things when I lived there half a century ago. It’s good that you know about it from your stay in Costa Rica. So lovely Lisa! I would love to live somewhere with such a lovely climate and so much nature! The older I get I crave to be warmer. It will be awhile but hopefully someday we can spend at least part of the year south of the border. How many years have you been an expat for? I can’t remember if I ever asked. Beautiful artwork as always. Adore Muir! Love your conversations Lisa and how your trees evolve their personalities. Can just imagine the antler discussion on “Mr Muir”. Enjoy the mythology around trees; lived in Trinidad for a while and there the mystical Silk Cottonwood was the ‘voodoo’ tree. All weird and wonderful stories. On my recent travels i came across the fabulous botanical artworks of that intrepid Victorian artist, Marianne North who travelled all over the world in the 1800’s. She bequeathed the extraordinary collection to Kew Gardens outside London. Wrote a book “Recollections” – her adventures and love of the natural world are quite thrilling. A female Muir equivalent! The Voodoo Tree sounds like a wonderful icon, and Cottonwoods are such grand and powerful trees. Thank you so much for the information about Marianne North and her book. How admirable that she left a legacy to such an appropriate ‘guardian’ of her work. I look forward to getting a glimpse into her world. You live in such a glorious place and on top of that are able to capture it so well, both with camera and canvas. Yes, it is a great place, and having trees like the Palo Santo make it extra special – especially after having a scientific study to truly appreciate the tree… Thank you! ‘Godful beauty’…what a wonderful phrase! Thank you! It was an easy ‘child’ to raise! Am working now on its surrogate elder the Ceibo tree, and it’s going equally well. I hope that the weekend is going well over there, no more horrid violence for a very long time. The Palo Santo’s essence is quiet yet powerful. I’m glad that the cyber connection allowed you to tap into its energy! Thank you! Si… it evens out but it’s frustrating to miss – and support – those that are special.. and you, my dear, are extra special!! !